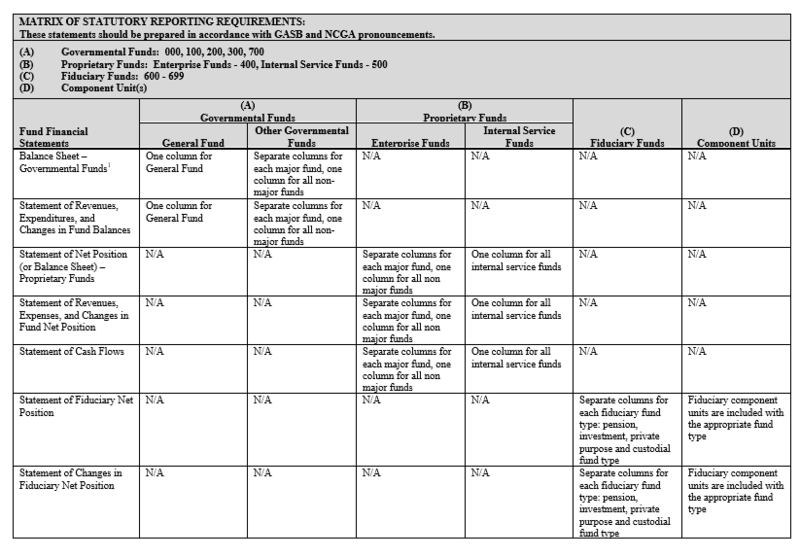 The matrixes on following pages summarize the GAAP and SAO reporting requirements. 4.1.4.10 Governments should use proprietary fund accounting and reporting if the predominant revenue source comes from fees and charges for selling goods or performing services. If taxes or grants are the predominant source of revenue, governmental fund accounting and reporting should be used. 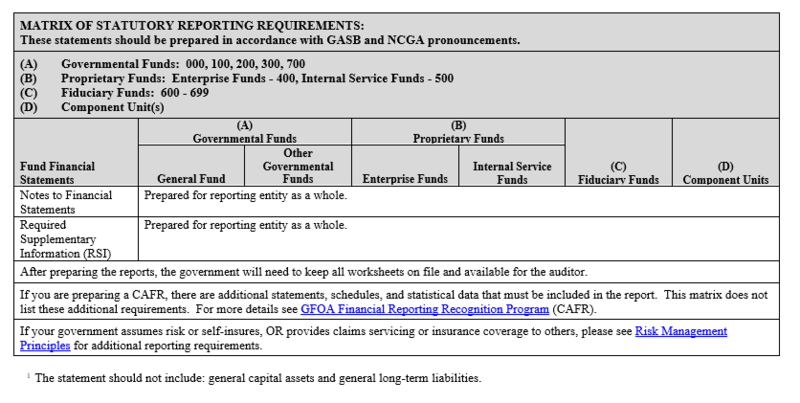 4.1.4.20 Governments have an option to participate in the GFOA’s Certificate of Achievement for Excellence in Financial Reporting program. 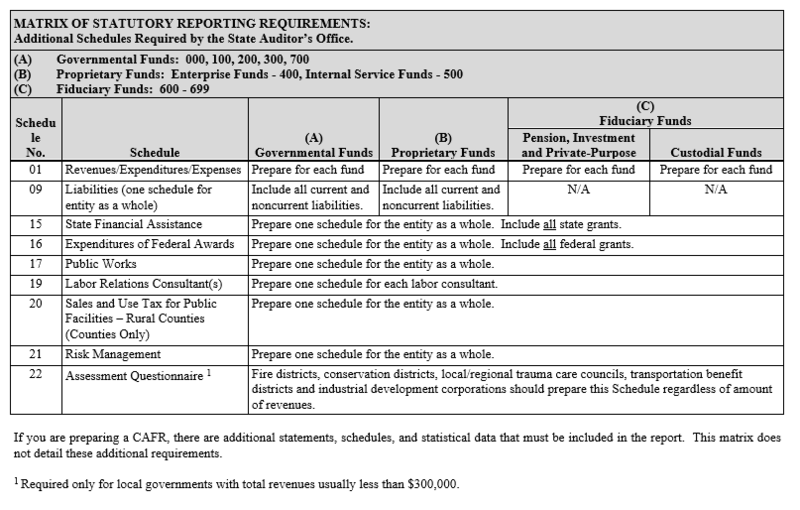 To participate in this program, a government must prepare a comprehensive annual financial report (CAFR). These reports have to provide additional information, which is not required in preparation of basic GAAP financial statements. 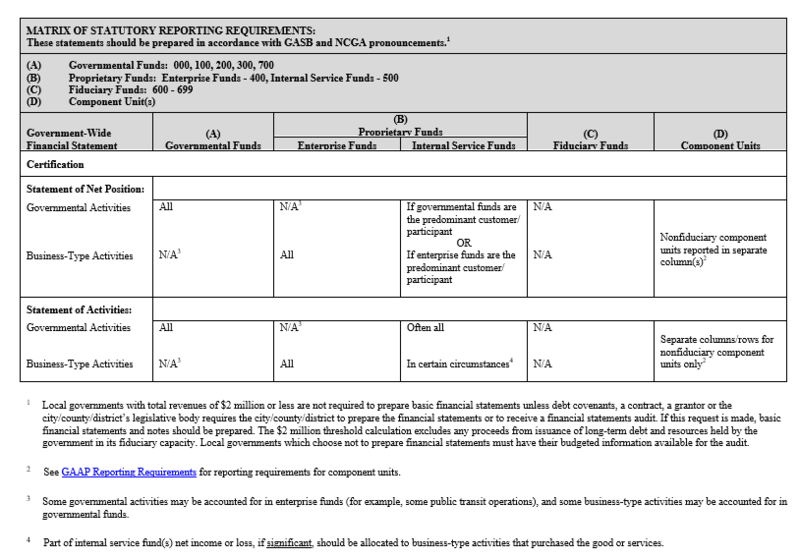 For additional information on preparation of a CAFR, see GFOA Financial Reporting Recognition Programs.